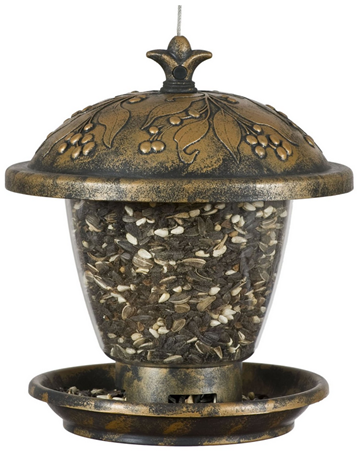 Wild Bird Feeder Just $8.48 Down From $36.95! You are here: Home / Great Deals / Amazon Deals / Wild Bird Feeder Just $8.48 Down From $36.95! You can get this Wild Bird Feeder for just $8.48 down from $36.95! What a beautiful yard ornament that serves a great purpose, as well! My Grandfather used to have a table in his backyard that he would put bird seeds on each day and we would sit on the screened in porch and watch for all the pretty birds! that’s a memory I will never forget, beautiful red birds and blue birds, such a peaceful time and a beautiful site!